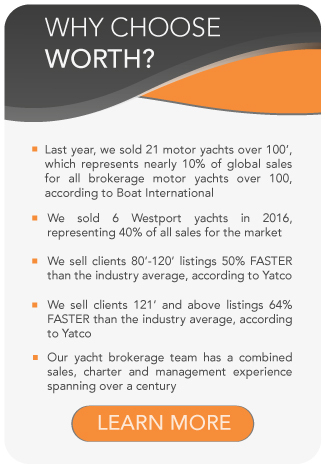 All Hakvoort yachts for sale worldwide are listed below, scroll down to view them. With a century of shipbuilding experience, Hakvoort Shipyard’s team has the prerogative to say, “We know what it takes to build great yachts”. The Dutch shipyard, Hakvoort, builds motor and sailing yachts up to 213ft (65m) in length. They have mastered the entire building process in steel, aluminum and wood from their multi-purpose facilities situated in the historic village of Monnickendam, The Netherlands. ALLEGRIA – 152′ Hakvoort Offered for sale and charter. In 1919, Albert Klzn Hakvoort purchased a shipyard in Monnickendam that had launched its first vessel way back in 1780. Hakvoort Shipyard started out building fishing boats, moving into the yacht building niche as the demand for pleasure sailing grew. Hakvoort is one of the few yards remaining in family hands, passed down from father to son on a number of occasions. Likewise, entire families of craftsmen have also worked at Hakvoort for generations, helping create an atmosphere of personal involvement in company and community alike. Albert Sr. once stated ““We’ll never be the biggest yard – but we promise that every boat launched here will be the very best of its kind at the time. Passing down skills and expertise from generation to generation is at the heart of everything we do at this yard”. The Hakvoort facilities include two enclosed and temperature-controlled docking and construction halls. There is also a metal workshop, a dedicated office complex and a large quayside operation. Furthermore, Unlimited Interiors, Hakvoort’s own joinery workshops with a total area of 2500 m², is located in the town of Purmerend, just a few minutes north of Monnickendam. Here, some 30 dedicated carpenters use their unique eye for detail to create perfect megayacht interiors. Unlimited Interiors also works independently on custom-built interior projects. Hakvoort yachts exemplify Dutch craftsmanship and expertise with notable yachts such as LADY MARINA, LADY DUVERA, PERLE BLEUE, JEMASA, SNOWBIRD, MIRGAB V and APOSTROPHE. 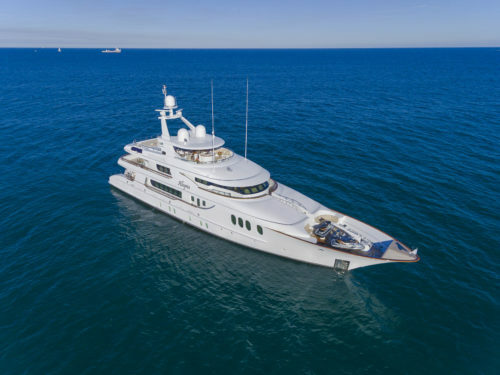 The 130-foot (39.7m) m/y APOSTROPHE won the ShowBoats Exterior Design and Styling award in 2013. 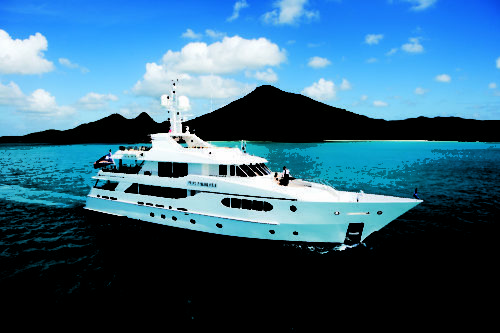 In 2008, PERLE BLEUE was finalist for the Neptune Award of Boat International and the Super Yacht Society Award best motoryacht under 40 meter. She won the ShowBoats Award Best full displacement motor yacht under 50 meters. Built by Hakvoort in 2002, and winner of the 2003 Showboats Award and International Superyacht Design Award, SAGAMAR is a carefully conceived and meticulously planned world cruiser. SPADA received the Super Yacht Society Award for Design and Leadership in 1998. She also made headlines for being the first yacht in the world under 40 meters in length to comply with the strict requirements of the MCA. LADY MARINA’s exceptionally stylish interior, created in cooperation with designer Donald Starkey, won the 1994 ShowBoats Award for best motoryacht interior. In April 2017, Hakvoort Shipyard delivered the 125-foot (38.25m) superyacht SOPRANO to her first-time owners. The largest Hakvoort superyacht built to date, the 200-foot (61m) JUST J’S was delivered in May 2017.